Mold Removal Muncie is East Central Indiana's premiere mold remediation, mold testing, and mold cleanup firm. When you find a mold issue in your home or business, you need a company you know you can rely on, with 24 hour emergency service to remediate your problem right away, and get you back to normal in as short a time as possible. When you call us to perform a free mold inspection in Muncie and surrounding areas, you're hiring a company with over 25 years of experience in restoring moldy homes. The first step is a thorough mold inspection. Our trained technicians will come to your home or business and thoroughly visually inspect any areas of concern. But we don't just stop if we find some mold. You see, mold doesn't just come out of nowhere. You need to meet one major condition for mold to grow in your home: moisture. Moisture levels consistently above 40% are ideal for microbial growth, and it doesn't take much time. 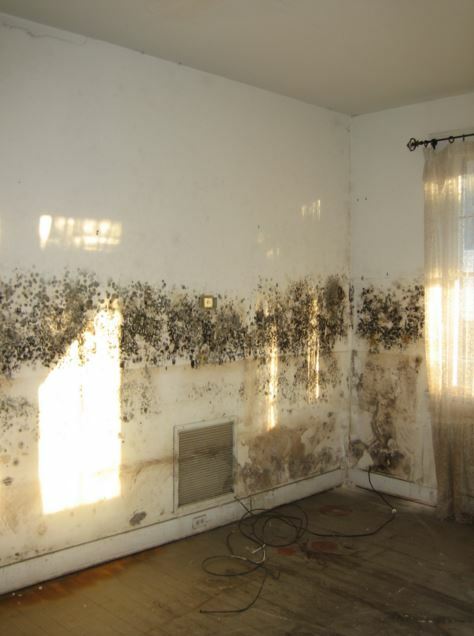 Exposure to high moisture levels can lead to mold growth in as little as 72 hours! So when we come to your home or business, we will not only find out if you have an issue, but we'll inspect your property to discover WHY you're suffering from mold damage, and where the water is coming from. If we find something, we'll provide you with a written, no-pressure, no-obligation quote for mold remediation, so you'll know exactly what it will cost. Sometimes, it becomes necessary to test for mold in the home. This is particularly useful in situations where no visible mold can be found in the house, but you still feel like you're feeling the symptoms of mold exposure. This is when we would recommend testing for mold. By taking several samples and sending them to an independent laboratory, we can provide you with a report that tells you not only what kind of mold you have in your home, but how much, and whether that level is higher than is generally considered safe. So what goes into a mold remediation job? Mold cleanup, while not rocket science, is still a difficult, and labor-intensive procedure. Depending on where in the building we're working, the basic procedure goes like this. First things first, we'll fix whatever was causing your moisture problem in the first place, that led to the mold contamination. Then, we'll set up containment, to prevent any mold contaminated air from getting into the main living area. Then, we'll set up a High Efficiency Particulate Air (HEPA) filter to serve as another layer of protection to keep the rest of your home safe from mold exposure. The next step is removal and disposal of the moldy materials. After a preliminary cleanup to keep the job site nice and clean, we'll spray all affected areas with our non-toxic mold treatment process. Then we'll come in and detail vacuum with another HEPA vacuum, to remove any stray spores that might still be hanging around. Then we'll clean everything again, take down our containment and equipment, and turn over your new, mold-free home or business back to you. I could keep going, but you're probably already scrambling to google, searching "how do I kill black mold?" Well, relax, it's not as bad as it seems. Like I said before, just because a mold is black doesn't mean that it's Stachybotrys chartarum. 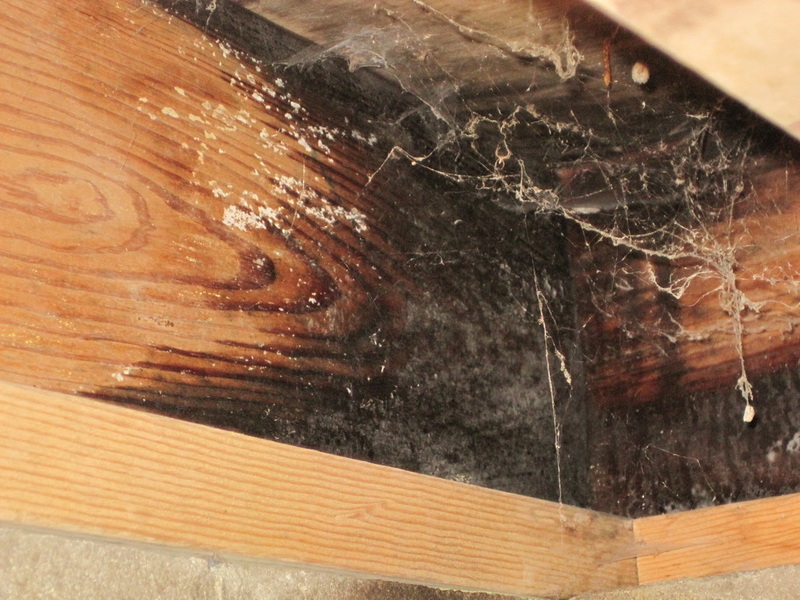 In fact, there's a decent chance that it isn't, as we just don't see tons of the infamous black mold in Muncie. However, if you're experiencing any of the above effects, and you're concerned, a qualified mold testing professional is the best way to determine whether you have a problem. Unfortunately, even the best trained mold testers can't look at a sample, and tell you what you have. We have to have it tested and verified by a laboratory. Anything else is just an educated (or maybe not so educated) guess. So if you're worried about black mold in Muncie, give us a call at 765-276-4063 today! Do I Have Too Much Mold? So, how much mold is too much? Great question! Before I answer, I should disclaim right up front that I'm not a doctor, and am not qualified to give you medical advice. What I can tell you is just some common sense things, bolstered by a huge knowledge of mold. So let's get into it. The first thing you need to know is that you can never get rid of all the mold in your home or business. There is no such thing as a mold-free environment. You see, mold is all around us. It grows in copious amounts outside of our homes, and the air inside our homes comes from that air outside. So no matter how hard you try, or how much money you spend on air filters and the such, there is always going to be at least a little bit of mold in the building. The question is, when is it too much? Can you see it growing? It's too much. Can you smell mold? You have too much. Another important factor to consider is that mold affects everyone differently. A teenager with a robust immune system probably won't experience much discomfort from too much mold in their environment. However, children, the elderly, and the immunodeficient are all at a higher risk factor than most adults. Also, if you experience mold sensitivity, or have been told that you are allergic to mold, higher mold levels can negatively impact you as well. Mold testing is the only way to get an accurate picture of what the mold levels are in your home. So if you fall into any of the categories above, and you don't know what might be causing any symptoms that you're experiencing, give us a call at 765-276-4063, and we'll get your home back to normal in no time!